Remembering the Jagiellonians is the first study of international memories of the Jagiellonians (1386–1596), one of the most powerful but lesser known royal dynasties of Renaissance Europe. It explores how the Jagiellonian dynasty has been remembered since the early modern period and assesses its role in the development of competing modern national identities across Central, Eastern and Northern Europe. Offering a wide-ranging panoramic analysis of Jagiellonian memory over five hundred years, this book includes coverage of numerous present-day European countries, ranging from Bavaria to Kiev, and from Stockholm to the Adriatic. In doing so, it allows for a large, multi-way comparison of how one shared phenomenon has been, and still is, remembered in over a dozen neighbouring countries. Specialists in the history of Europe are brought together to apply the latest questions from memory theory and to combine them with debates from social science, medieval and early modern European history to engage in an international and interdisciplinary exploration into the relationship between memory and dynasty through time. 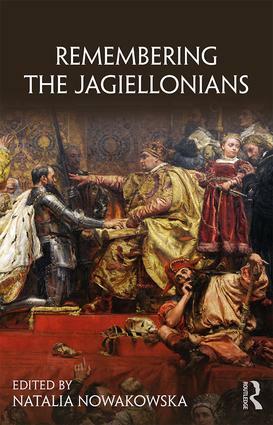 The first book to present the Jagiellonians' supranational history in English, Remembering the Jagiellonians opens key discussions about the regional memory of Europe and considers the ongoing role of the Jagiellonians in modern-day culture and politics. It is essential reading for students of early modern and late medieval Europe, ninteenth-century nationalism and the history of memory.